Four years ago, I was on a search to find the perfect dog to adopt. For several months, I went to different shelters throughout the Southern California area, read Craigslist advertisements and scoured the Internet. 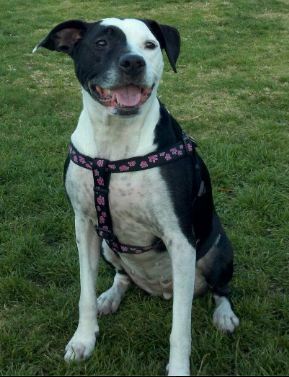 Randomly, while on PetFinder.com, I stumbled upon the sweetest face I have ever seen – her name was Marley Anne, a female pit bull mix, whose face was half black and half white. I had to meet this dog. Luckily, Marley was not currently in a shelter or on death row … but rather her guardian was moving to Hawaii for work, and because of the uncertainty of her living situation and the risk of a possible 120-day quarantine program when reaching Hawaii, the guardian had been searching to find Marley a happy new home. 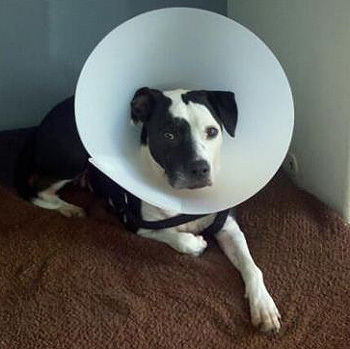 Unfortunately for Marley, the pit bull stigma seemed to make her adoption quite difficult. 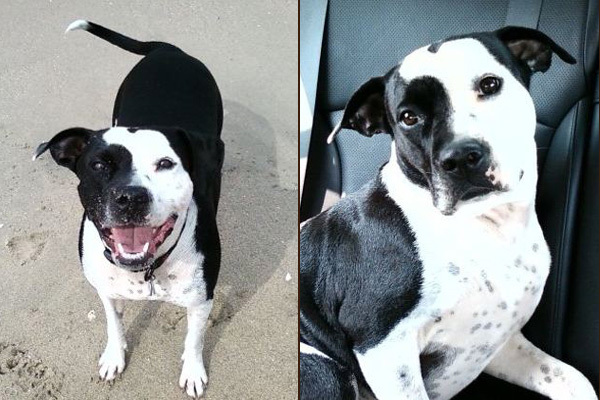 With such negative news at that time regarding her breed, placing her in a new home was an extremely difficult task. I scheduled the earliest possible meeting with the organization so that I could meet Marley, making sure I was the first appointment they had available that Saturday (their adoption day) so that no one would be able to get to Marley before me. Sure enough, it was a perfect match. Her demeanor and disposition were absolutely perfect. She was completely loving and affectionate with me from the moment I met her, so much so that the woman from the adoption agency stated, “I think this is love at first sight.” I have found that there aren’t too many certainties in life, but one thing I knew for sure was that I was meant to adopt Marley Anne. Within 30 minutes I was filling out the adoption paperwork and packing up Marley’s belongings and loading her into my car. I pulled out of that parking lot happier than I had ever been, and judging by the look on my new pup’s face, she was feeling the same way. About five minutes into the car ride, Marley was frantically chasing something on the ceiling of my car, and I thought to myself “Oh boy, what did I get myself into?” It took me a few seconds, then I realized it was the reflection of the sun bouncing off my watch. One of Marley’s biggest quirks: She loves chasing light reflections and shadows. Marley is a lover to an absolute extreme, and because of this … is quite spoiled. Not only does she prefer sleeping in bed with you, but make sure to tuck her in under the covers because she does not enjoy being cold at night. At dog parks, whenever someone’s young child walks over to Marley, they instinctively ask if their child is safe around this “pit bull,” to which I tell them the only thing they need to worry about is Marley kissing their child’s face or accidentally hitting them with her tail because she is so excited. About a year ago we started to find small lumps on Marley, which after several biopsies revealed that they were mast cell tumors. To say I was crushed would be a complete understatement … however, with the help of Marley’s amazing veterinarian (Dr. Tyler) and oncologist (Dr. Zwahlen), after two surgeries and a number of tumors removed, Marley has gone the last five months without any recurrence. She was the best patient ever and still managed to look absurdly cute even with that ridiculous cone on her head. Marley represents the majority of pit bulls in that she completely destroys the stereotypes, stigmas and perceptions for those who meet her in person. Her love for all people comes almost as a fault because I am always fearful she will run off with anyone who has a tennis ball in hand or wants to take her to the dog beach. Marley’s two biggest supporters are her brothers, Lambeau and Diggy, two 10-pound Papillons. The three of them are best friends, and with the way Marley attempts to sleep in their little beds, opposed to her own, she clearly thinks she’s a small 10-pound dog too. My sweet angel Marley Anne has made me a passionate advocate for all pit bulls out there looking for a home and family to help complete. I couldn’t have asked a more wonderful addition to my family. @Justin Moisio Thank you Justin, for sharing the beautiful Marley with all of us. We’re smitten!! What an absolute sweet story! 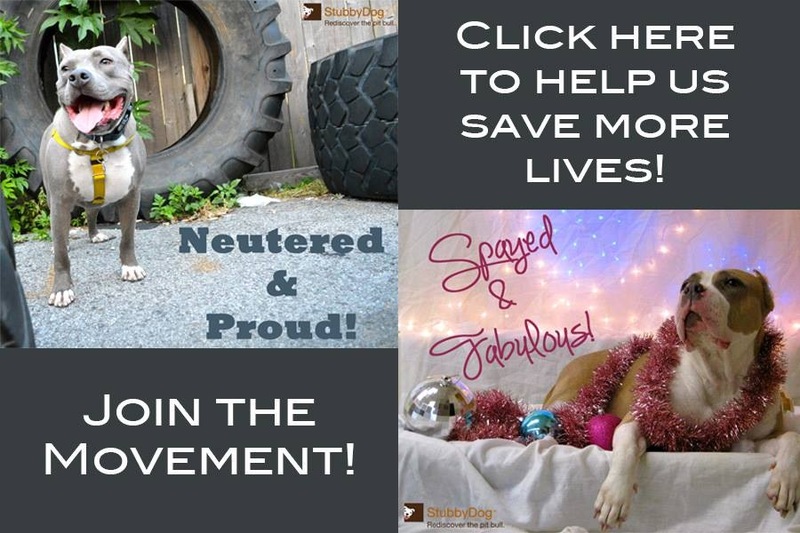 What a beautiful story and how typical of the pit bull breed. They are wonderful and loving, only the degenerates that try to change them are the sick ones. These people (and I use the term loosely) are the ones that need professional help……..BIG TIME. 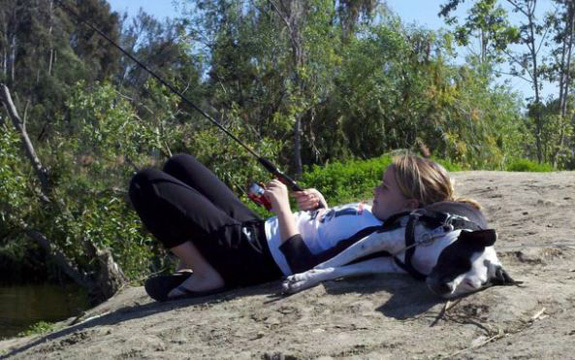 Awwwwwwww, I <3 this story, and Marley, congrats on beating cancer!